Home → Blog → R.F.D. No. 1 Westport, Mass. R.F.D. No. 1 Westport, Mass. R.F.D. No. 1 Westport, Mass. A stage line similar to Westport’s R.F.D. No. 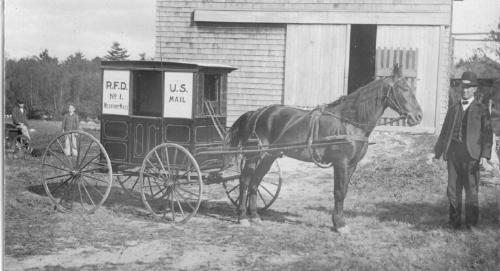 1 ran from Little Compton, R. I., through Adamsville, Central Village, South Westport, Russells Mills, Padanaram to New Bedford carrying mail and passengers. It is said that the driver would deliver personal messages and do small errands for folks along his route.